Kate Shaner (née Inie-Richards) is currently the Assistant Director of Greenwich Suzuki Academy and Head of Development for the Friends of Greenwich Suzuki Academy fund. She is also a primary member of the violin, viola and SECE faculty. 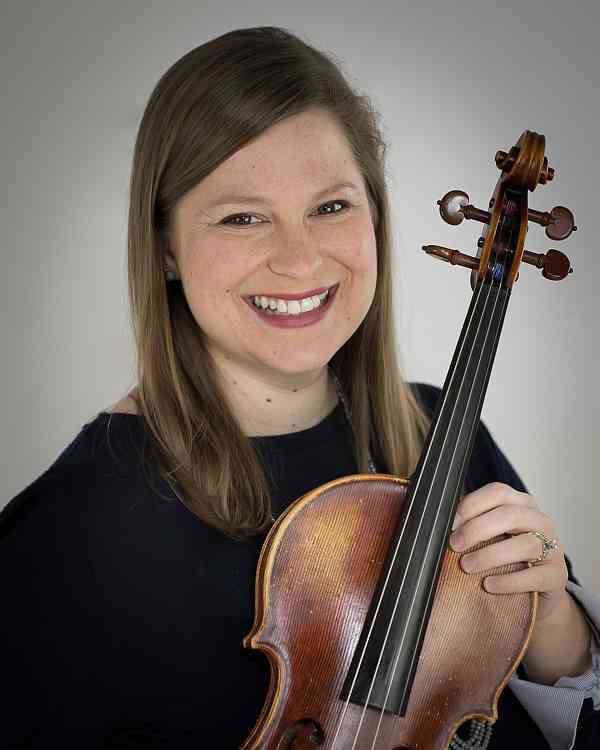 Prior to joining GSA in 2017, she served as the Director of the Milford Branch at The Music School of Delaware and a core violin and viola faculty member in the school’s Suzuki Academy from 2013-2017. In 2016, Ms.Shaner was selected as one of Delaware’s top young professionals and received the Delaware Business Times “Best 40 under 40” award. From 2008 to 2013, she taught viola and chamber music at Interlochen Arts Summer Camp. She also served on the Board of Directors for the Greater Philadelphia Suzuki Association from 2016-2017. Ms.Shaner is a registered Suzuki teacher with the Suzuki Association of the Americas in ECC, SPA, SECE Unit 1, violin units 1-6, and violin practicum. She is a graduate of Interlochen Arts Academy (2007) and holds degrees from the University of Memphis (B.M.) and Ithaca College (M.M., Suzuki Pedagogy). While at Ithaca College, she studied Suzuki pedagogy under Sanford Reuning and Carrie Reuning-Hummel, with additional instruction from Edward Kreitman, Teri Einfeldt and Stephanie Sandven. Her principal viola teachers have included Debra Moree, Lenny Schranze, David Holland and Shelley Beard Santore. Ms.Shaner has studied Suzuki Early Childhood Education with trainer Lynn McCall. Ms.Shaner’s viola students have been accepted into prestigious training programs including Interlochen Arts Academy and Sphinx Performance Academy. In her spare time, Ms.Shaner enjoys reading and gardening. She lives in Greenwich, CT with her husband Jordan Shaner and their two rescue dogs.